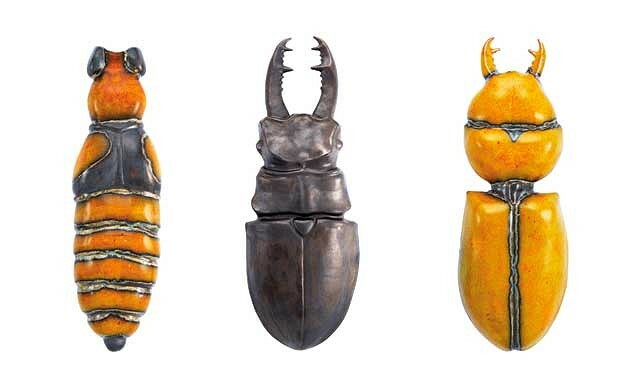 A beautiful array of hanging ceramic beetles created this year by Beate Reinheimer and Ulrike Rehm under the name RaR for design distributor Thomas Eyck. The entire collection was shown at the Milan Furniture Faire. 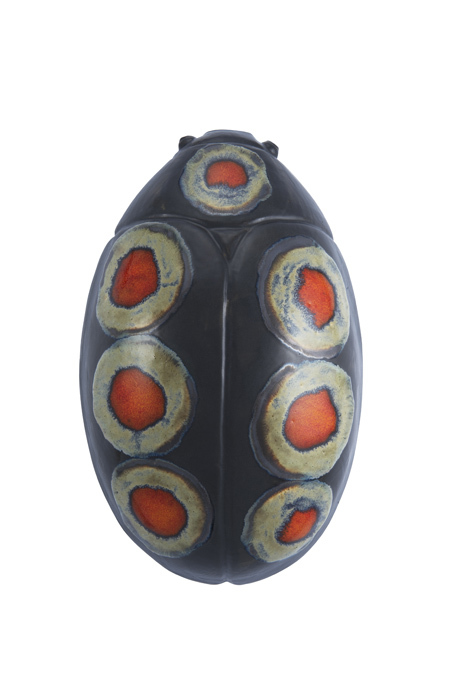 Schwarm consists of Ten 'species' of beetles that were given an impressive variety of glazes, all inspired from the incredible carapaces of coleopterans found worldwide. 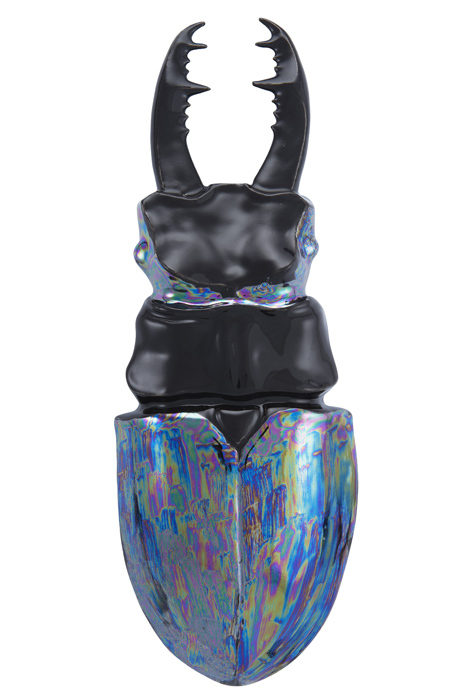 Each form has a scientific name that, while perhaps not matching the color, at least corresponds to a real European beetle. 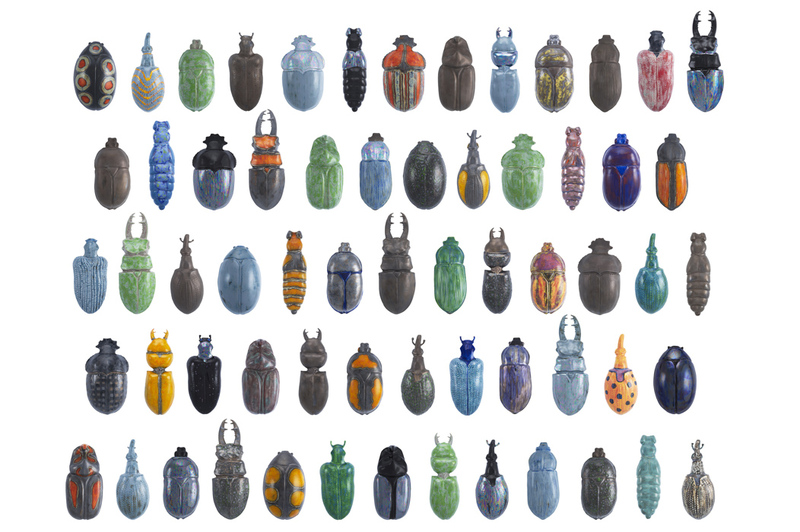 I am especially happy of their choices, especially the distinctive Scarites Buparius. A list of the species types (and their prices) can be found here at thomaseyck.com. 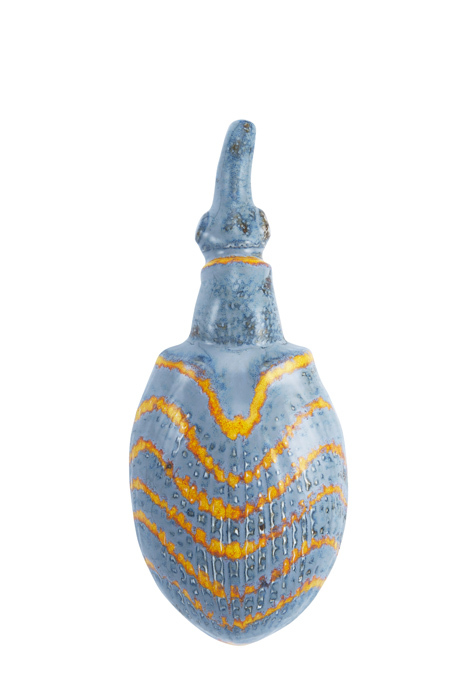 This entry was posted in art and tagged Beate Reinheimer, beetle, ceramic, lynxandtelescope, nomenclature, Thomas Eyck, Ulrike Rehm. Bookmark the permalink.